7 1/4 inch Gauge 0-4-0 Petrol Hydraulic "Stoomphy"
This locomotive is a Roanoke industrial 0-4-0 shunter built as a special order because John wanted it equipped with a Tecumseh Power Sport 6HP 195cc 4 stroke OHV engine, in lieu of the Honda usually installed in the Roanoke F series. The engine casing had to be redesigned and enlarged to accommodate the larger engine. The engine has electric start and the drive is via toothed belt to an Eaton hybrid swash plate unit and chain drive to both axles. 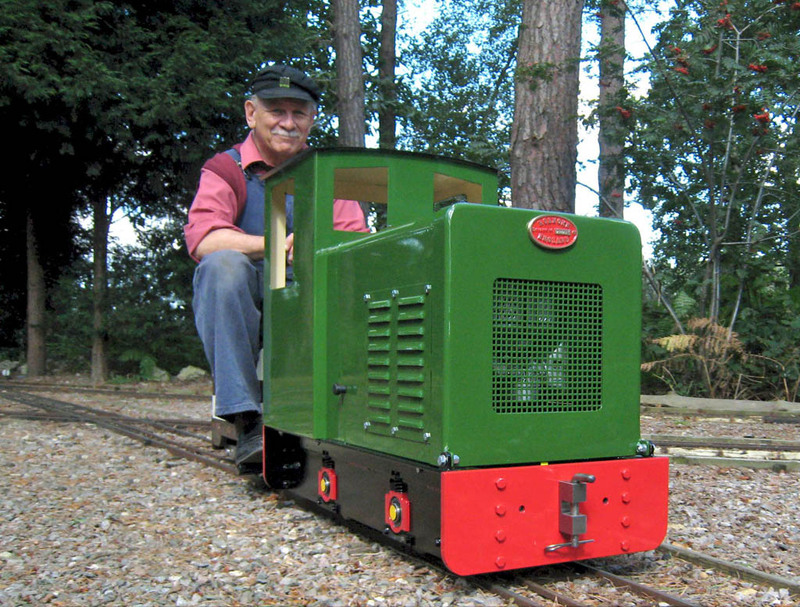 This loco is now numbered 23 and named STOOMPHY which John derived from his grandchildren’s names, Tom and Sophy.